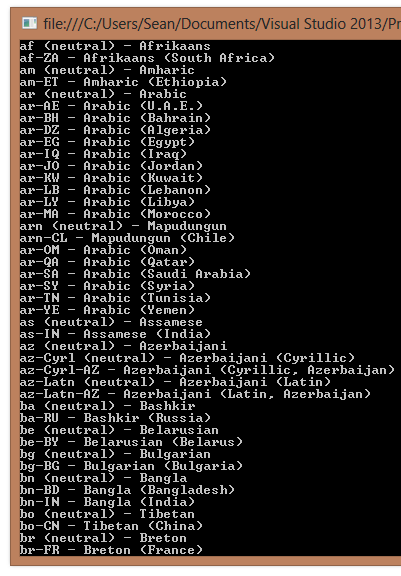 You can get a full list of all cultures supported by .NET using the CultureInfo.GetCultures static method. (In System.Globalization namespace). Below is a code sample that dumps out a little bit of information about all known cultures.